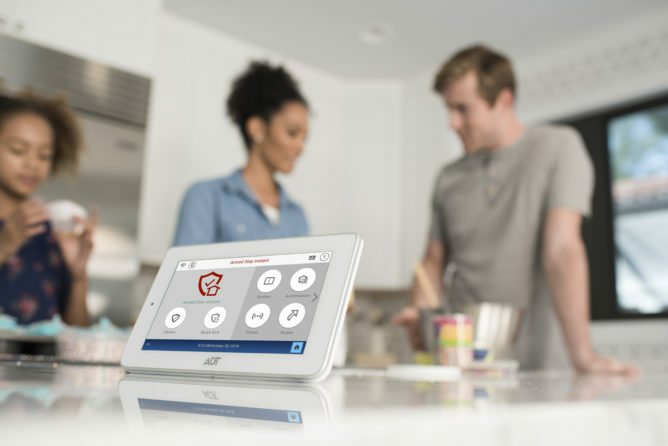 Traditional security services firm ADT entered the connected home space with its Pulse app and has also partnered with Samsung SmartThings in the past, but at CES 2019 it's showing off a whole new own-branded platform. The Command and Control security system consists of a tablet-esque hub and new app for your phone. The Command Panel has a 7-inch touchscreen and built-in camera that can be used to disarm the system when you arrive home. Dynamic scenes and rules can be created in tandem with your other smart home devices, and voice control integrations work with Google Assistant and Amazon Alexa. The tablet includes dual path broadband and LTE, as well as a two-way encryption RF sensor. User codes and other access settings are also available. With the Control app installed on the phone of each resident, geofencing is used to automate and trigger arming and event monitoring. You can also use the app to manually disarm the system shortly before entering the house, or arm it when you leave. ADT's existing family of cameras and sensors can be used with the new system, including the ADT Video Doorbell Camera that was previously used with Pulse. As with any ADT installation, Command and Control comes with the company's trusted monitoring and emergency response features for all-year-round peace of mind. There's no word on pricing for the new system yet, but it'll be available sometime in Q1 2019. LAS VEGAS, January 7, 2019 – ADT Inc. (NYSE: ADT), a leading provider of monitored security and interactive home and business automation solutions in the United States and Canada, today announced the unveiling of its newly redesigned smart home security system – the ADT Command Panel & Control Platform (ADT Command) – as well as a suite of smart security and home automation products at the Consumer Electronic Show (CES). This year’s theme, “Real Protection,” will highlight the products ADT offers to ensure customer safety from any location. ADT Command is a dynamic and innovative wireless panel with numerous smart home capabilities, including seamless set up and control with the ADT Control app, that allows customers to protect and automate their homes from anywhere at any time. Smart Security: Know who is arriving home and when, with the 7-inch wireless, touchscreen Command panel that snaps a photo when the system is disarmed using its built-in camera. By creating dynamic scenes and rules, your smart home devices work in harmony to keep your family safe. For example, in case of a fire, the system can be connected to the thermostat, lights and doors, making it easier and safer for everyone to get outside. Enhanced Safety: Keep your home connected 24/7 with the panel’s battery backup with dual path Broadband and LTE cellular communications. ADT Command features two-way encryption RF sensor technology to help reduce the potential for hacking. For increased control of your home, unique user codes and permission settings can grant access to users only on the days and times you specify. Technologically Advanced: The app’s geofencing technology generates helpful automations and alerts to trigger events, with reminders such as arming the security system when you leave the house. With voice control technology, you can easily control your system simply with your voice. Control at your Fingertips, Anytime and Anywhere: Use the Control app to carry out preset automations when you leave or arrive home, allowing you to remotely arm or disarm your system. No matter where you are, you can rest easy knowing your doors are locked, your lights are on or off and your home is secured. You can even watch live video and images from your mobile phone, tablet or smartwatch, so you can stay connected to your home no matter where your travels take you. 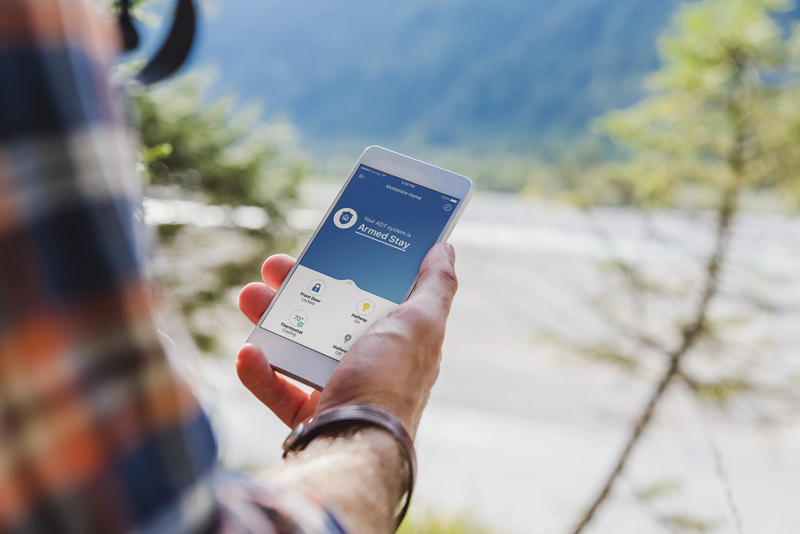 ADT Go: This all-in-one mobile safety app provides a companion with you wherever you go—whether you’re in the car or in a new city. Created in partnership with trusted locator and communication tool Life360, the app offers family check-in and location geo-fencing capabilities, local crime data, driving activity alerts, crash detection and response, roadside assistance, and 24/7 SOS emergency response from ADT’s trusted live monitoring agents. 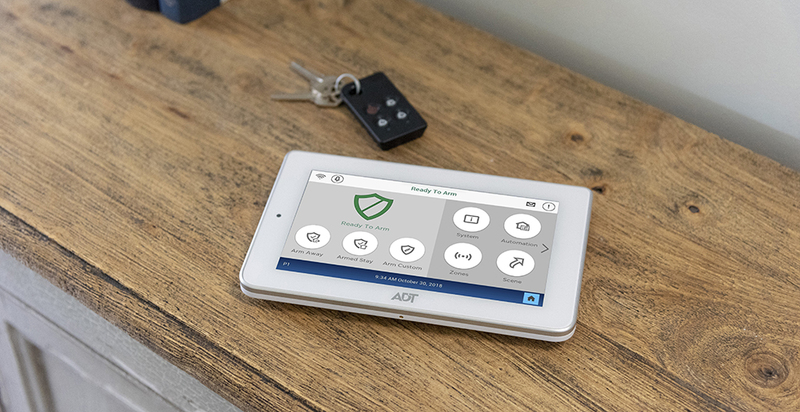 Available in Apple and Android app stores, ADT offers two service options to give you peace of mind that fits your family’s needs. ADT Video Doorbell: The weatherproof, high-definition video doorbell provides front door security, allowing users to receive alerts, photos and videos, when the doorbell is engaged. The doorbell can also reduce false motion events by using object detection, pairing it with other motion data to determine true events and provides superior video quality and crisp wide-angle views with de-warping features. Voice Control Integrations: ADT’s integrations with Amazon Alexa and Google Voice Assistant provides users a hands-free solution for dynamic scenes that deliver a personalized service. Customers can utilize voice commands to arm or disarm their systems, lock and unlock doors, and manage other smart devices like lights and thermostats—making the home not just smarter, but safer. Interactive Crime Map: ADT’s free, interactive crime mapsprovide up-to-date information on crime statistics, including assault vehicle theft, robbery, and more. This tool assists future homebuyers when considering a neighborhood and helps travelers choose the best places to stay when visiting a new city. Visit adt.com/crime to explore your neighborhood. ADT Command & Control will be available for home installation beginning in the first quarter of 2019.